To walk by faith and not by sight; showing love and service in the Jurisdiction of Alaska. Thank you for visiting our web page. For those of you who are visiting our Great State, please stop by and visit one of our beautiful Chapters located in Anchorage, Fairbanks and North Pole. Promote the Beauty of the Prince Hall Grand Chapter of Alaska and Its Jurisdiction through love and community service. 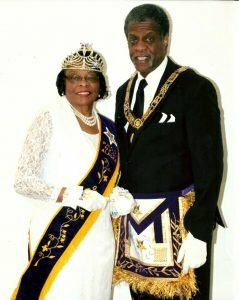 Show love to each other and the Masonic Family; to learn and practice the teachings of the Holy Scriptures, communicating the meaning of Honor, Dedication, Courage, Faith, and Love. Second Saturday @ 11:30 A.M.